Over the years, governments and stakeholders have taken measures against poor dietary habits, but with limited success. The reason for this is that many consumers value instant gratification of a high fat and sugar content, over avoiding long-term negative health consequences associated with the consumption of such unhealthy food products. Producers value short-term profit over a more risky strategy of converting to responsible products that, although they might sell less on the short term, have the potential to strengthen corporate reputation in the longer run. From a societal perspective this lock-in situation is undesirable. The current project contributes to solving the problem by incorporating segmented social marketing strategies and corporate social responsibility into an innovation systems perspective. The supply side is viewed as a set of heterogeneous firms among which segments can be distinguished with specific preferences, norms and values. The overall objective is to find conditions under which these firms have the incentive to behave in a socially responsible manner. The meaning of social responsible behavior for the supply side in the food system. The factors that shape the choice of displaying current behavior over societal responsible behavior for various segments identified on the supply side. The conditions under which these segments are most likely to display societal responsible behavior. The researcher is expected to use different research strategies, such as interviews and literature searches. Further, specific segments of firms need to be identified based on stated choice experiments and revealed behavior. The PhD is part of a larger project funded by the Dutch Science Foundation (NWO) within the Responsible Innovation Theme (MVI). The project is based at the Innovation Studies group, of the Copernicus Institute of SustainableDevelopment , Faculty of Geosciences, Utrecht University. Innovation Studies is widely known for its research on breaking existing technological regimes. The current project is supervised and managed by Prof. Dr. Marko Hekkert and Dr. Frank van Rijnsoever. Wageningen University will co-supervise. The PhD student will be collaborating with another PhD student based at Wageningen University who researches demand side preferences and with a senior researcher who focuses on policy measures. It is expected that this research will deliver several high quality papers in respected scientific journals. Candidates hold a M.Sc. (or equivalent) degree in a relevant field (e.g. innovation studies, economics geography, marketing, economics, business, business ethics, management, or a relevant field in psychology). Candidates have an interest in corporate social responsibility and firm behavior in the international food market. Experience with quantitative methodology is a must, qualitative research experience is preferred. Advanced knowledge of English both in reading and writing is required. Finally, it is recommended that candidates have proven experience with applied or food ethics. The project is a fulltime PhD position (0.8 fte is an option) for a period of 12 months (Utrecht University), which is extended to a PhD trajectory of 4 years in total upon favorable evaluation. The gross monthly salary increases from € 2,042 in year 1 to € 2,612 in year 4, according to the Collective Labour Agreement of the Dutch Universities. Secondary benefits include e.g. a pension scheme, flexible employment conditions, holiday bonus (8%) and end-of-year bonus (8,3 %). The PhD student will be involved in the teaching program of the faculty to a maximum of 0,1 fte. 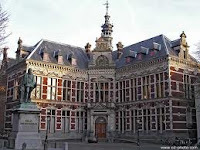 The Faculty of Geosciences of Utrecht University offers high quality teaching and research concerning the geosphere, biosphere, atmosphere and anthroposphere. With a population of 2200 students (BSc and MSc) and 500 staff, the faculty is a strong and challenging organisation. The Faculty is organized in four departments: Innovation and Environmental Sciences, Earth Sciences, Physical Geography, and Human Geography and Urban and Regional Planning. Are you interested? You can obtain further project details from Dr. Frank van Rijnsoever; f.vanrijnsoever@geo.uu.nl. (Please do not use this e-mail address to apply.Only applications sent to our Personnel Department can be taken into consideration). More information about employer Utrecht University on AcademicTransfer. Demikian kami sampaikan tentang PhD researcher Supply side segmentation for social responsible food innovation at Utrecht University semoga informasi tentang PhD researcher Supply side segmentation for social responsible food innovation at Utrecht University ini bermanfaat.